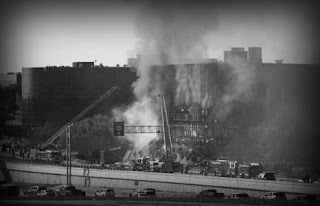 A pilot furious with the Internal Revenue Service crashed his small plane Thursday morning into an office building in Austin, Texas, that houses federal tax employees, setting off a raging fire. Officials are investigating whether the pilot, identified by authorities as Joseph Andrew Stack, a 53-year-old software engineer who lived in Texas, crashed the plane intentionally. Stack was confirmed dead. Stack posted a suicide note to a social media Web site, ranting against the IRS, officials confirmed. "If you’re reading this, you’re no doubt asking yourself, “Why did this have to happen?'" the note read. "The simple truth is that it is complicated and has been coming for a long time." "Violence not only is the answer, it is the only answer." "I saw it written once that the definition of insanity is repeating the same process over and over and expecting the outcome to suddenly be different. I am finally ready to stop this insanity. Well, Mr. Big Brother IRS man, let's try something different; take my pound of flesh and sleep well," the note, dated Thursday, reads.